Meet The Coaches | Darien YMCA Sports Dept. Mike Scott is the Head Varsity Baseball Coach at DHS. A Blue Wave baseball alum, Mike earned All-American and Big East Player of the Year accolades while playing collegiately at Providence College and UConn. Mike was drafted by the Detroit Tigers in the 2001 Major League Baseball Draft and played professionally for two seasons. 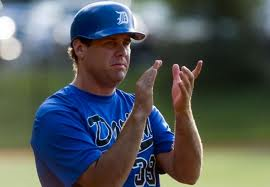 A 3-time FCIAC Coach of the Year, Mike has led the DHS baseball program to the CIAC State – Tournament in each of the past 10 seasons, with the 2009 squad reaching the state semi – finals for the first time in school history. The 2016 and 2018 teams won the FCIAC championship! During Mike's tenure, 28 players from DHS have gone on to continue their baseball careers in college. John Miceli is the DHS Assistant Varsity Baseball Coach and DHS pitching coordinator. As one of Darien High’s top former players, he led the Blue Wave to a program - record 20 wins in 1997. John has been on the DHS coaching staff for the past 10 seasons, and has been directly responsible helping to develop numerous players into productive varsity performers. John has also enjoyed recent successful stints as the head coach of the Darien Senior American Legion Team, as well as the head coach of the Darien Blue Hawks 14 year old travel team. 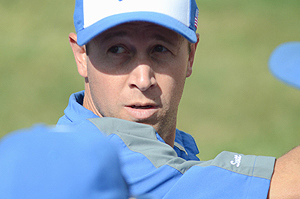 In 2018 John was named the State of Connecticut CIAC Assistant Baseball Coach of the Year!